The dam wall was constructed so that the dam could deal with storm run-off up to 118 mm. A decanting well was fitted in the center of the dam so that the slurry could be re-circulated back to the processing plant. Drains were also created as additional protection against seepage into the environment. The new Aurul tailing dams were built to replace the chronically leaking Meda ponds located near Baia Mare. The dam covered 93 hectares and was 20 meters high. The dam was built to take advantage of the sloping hills in the area. Lining the dam was a plastic liner that afforded 0% discharge into the surrounding area. The dam wall was constructed on top of a starter dam, with the new dam wall added as more slurry was pumped in. The idea was to have the tailings form the wall as more and more slurry was deposited into the dam. 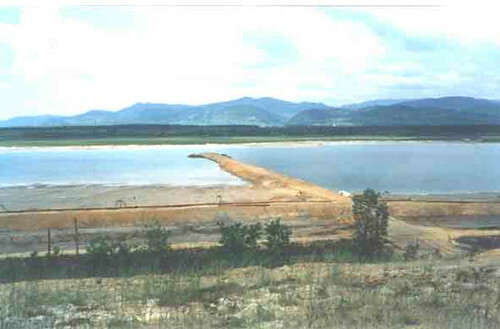 Hydro-cyclones were added to assist in lining the dam wall with the tailings. 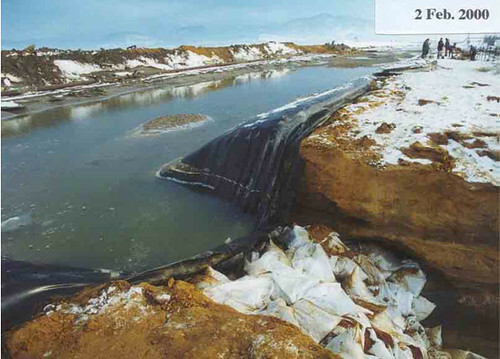 The dam break is believed to have been caused by a combination of inherent design deficiencies, inadequate permit and inspection procedures, operating practices that did not include sufficient safety and emergency procedures and poor weather (heavy rains and melting snow). It is also believed that the dam was not engineered to cope with a rise in water or to catch overflow wastewater. Mining company officials usually state that tailings impoundments are zero discharge facilities and were designed based on conservative engineering assumptions performed by independent consultants. Mining company representatives and regulators often make such public statements about gold operations, especially during the permit approval process. Such frequently cited “articles of faith” deserve closer examination. First, no synthetically lined impoundments - either tailings or water dams - are truly zero discharge facilities. They all leak to some extent, even if the structures do not fail. This is well recognized within the professional community. 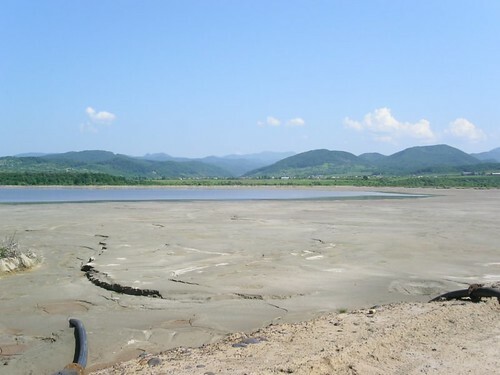 Numerous western journalists published articles reporting evidence of ground water contamination around the Baia Mare facility that preceded the spill. Second, it is obvious that truly conservative water-balance assumptions were not used in the design of this facility, or it would not have failed in the manner observed. It is true that the failure occurred during a time of unusual precipitation. However, it seems doubtful that the operators had collected adequate local precipitation data in order to realistically estimate maximum runoff volumes. This is a common problem at mining sites around the world, and the tendency to underestimate seems to be increasing. When huge facilities filled with toxic chemicals are to be located near human populations, shallow ground water and rivers, it is imperative that truly conservative design assumptions be followed. It is an unfortunate fact that most mining operations receive little or no independent environmental scrutiny. The majority of technical consultants hired to review the adequacy of mining structures, assumptions and environmental programs are selected and paid by the company being regulated. Even when such consultants are supposed to be advising the regulators or project bankers, they are still chosen from a small pool of companies that make most of their income from consulting to the mining industry. They are, thus, in the author’s view, reluctant to make recommendations that might be “painful” for their mining clients to hear.